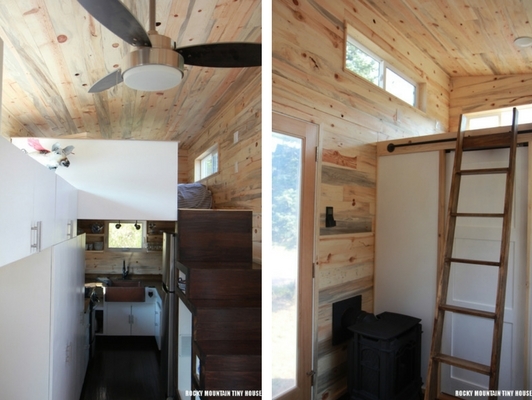 This tiny house is based on one of the most popular tiny house designs of all time, “hOMe”. 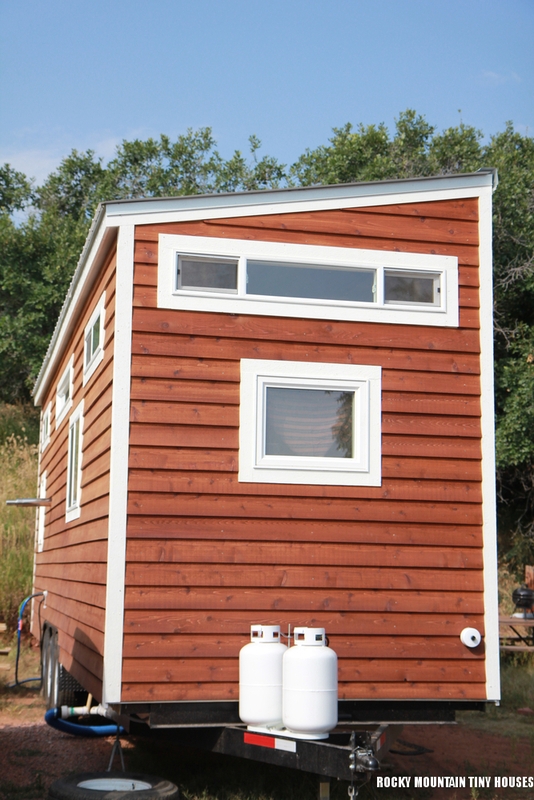 This model was built by Rocky Mountain Tiny Homes of Durango, Colorado. 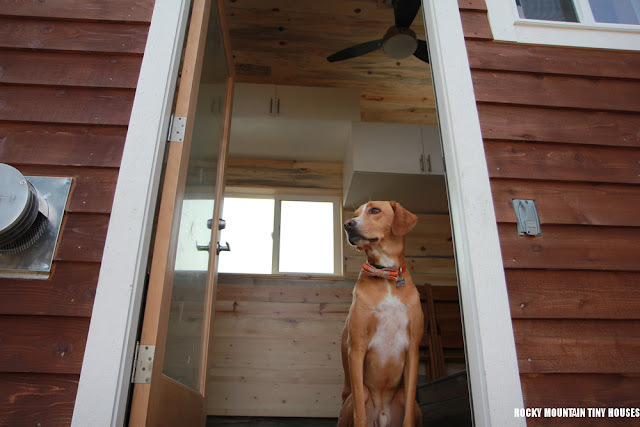 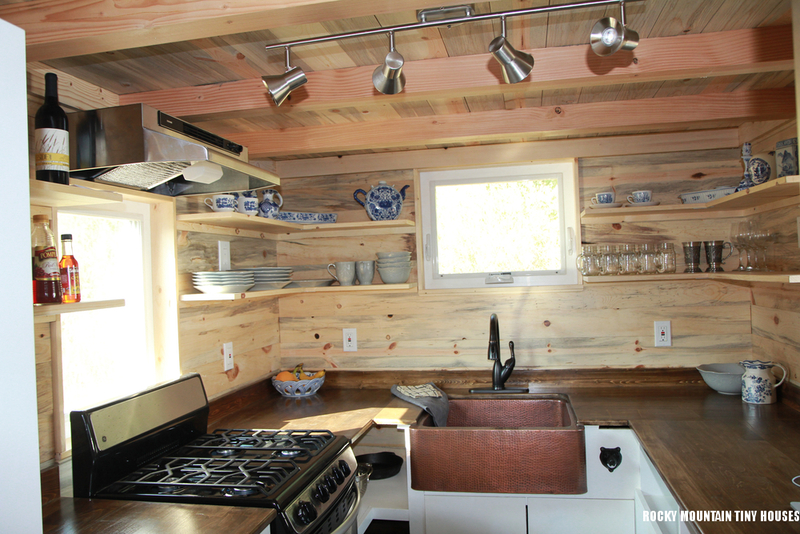 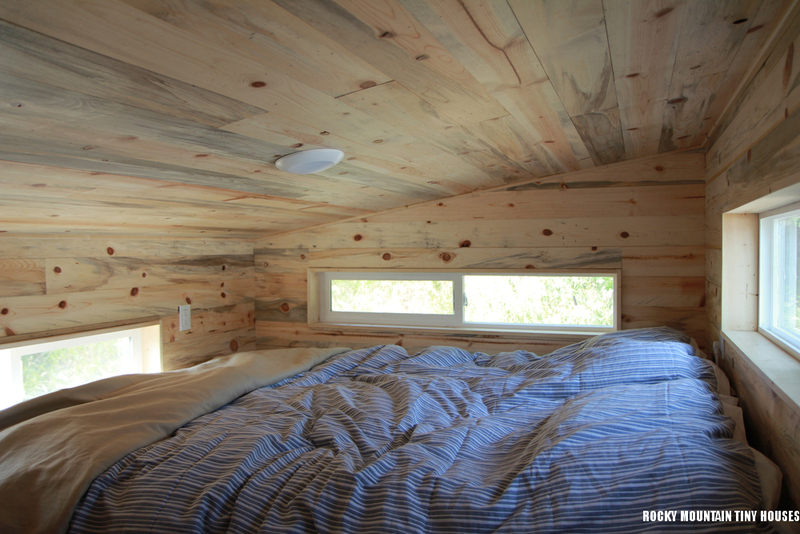 It was built using SIPs, an interior of beetle kill pine, and dark stained cedar lap siding. 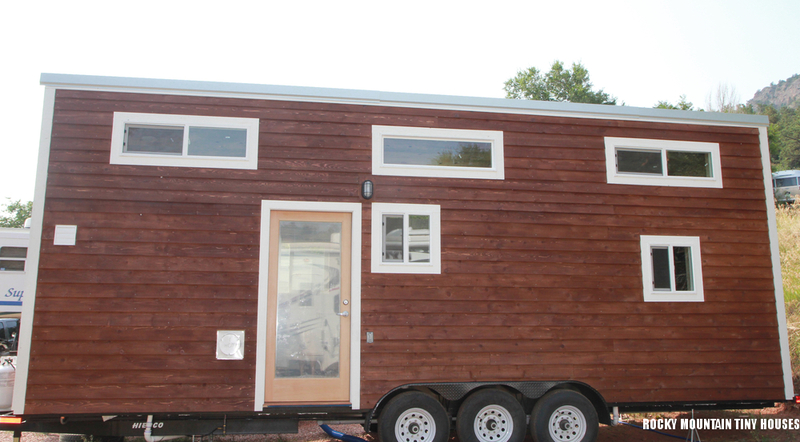 It's layout includes a full kitchen, loft bedroom, bathroom, dining space, living room area, and plenty of storage throughout the home. You can buy your own model from Rocky Mountain for $64,000. 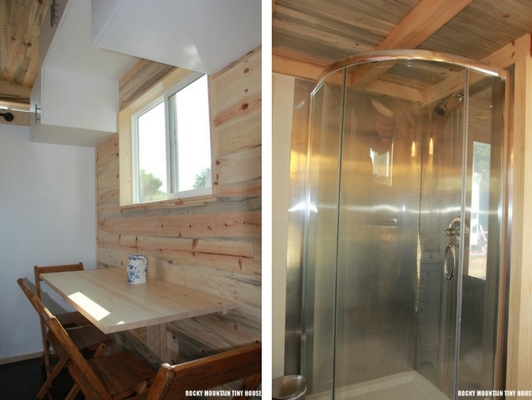 Other tiny houses built using "hOMe's" designs are the Heart Of It All tiny house, and this custom tiny home.